Speak my Language – translated resources and carer’s guides to help client’s understand the Aged Care system. Maternal and Child Health (Victoria) – Key Ages and Stages incl. ​Kids Talk poster, Play Learn Grow and Healthy eating. 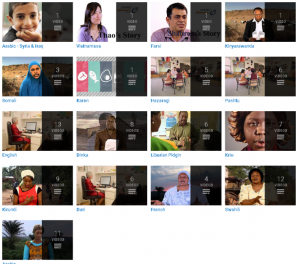 Community Health Hub – Health information in spoken languagues in Arabic, Swahili, French, Somali, Dinka, Kinyarawanda and Kirundi with an English script. Translated resources and videos about hepatitis testing, healthy eating and living with Hepatitis available HERE. My Guide to Chronic Hepatitis B – Chinese, Vietnamese, Arabic, English and other languages here. Queensland Health – translated fact sheets about the Mental Health Act. Pictorial and translated resources here. Metro South Health – translated pictorial information sheets. Qld Health – translated information into multiple languages. Family Safety Pack – information on Australia’s laws regarding domestic and family violence, sexual assault and forced marriage, and a woman’s right to be safe.